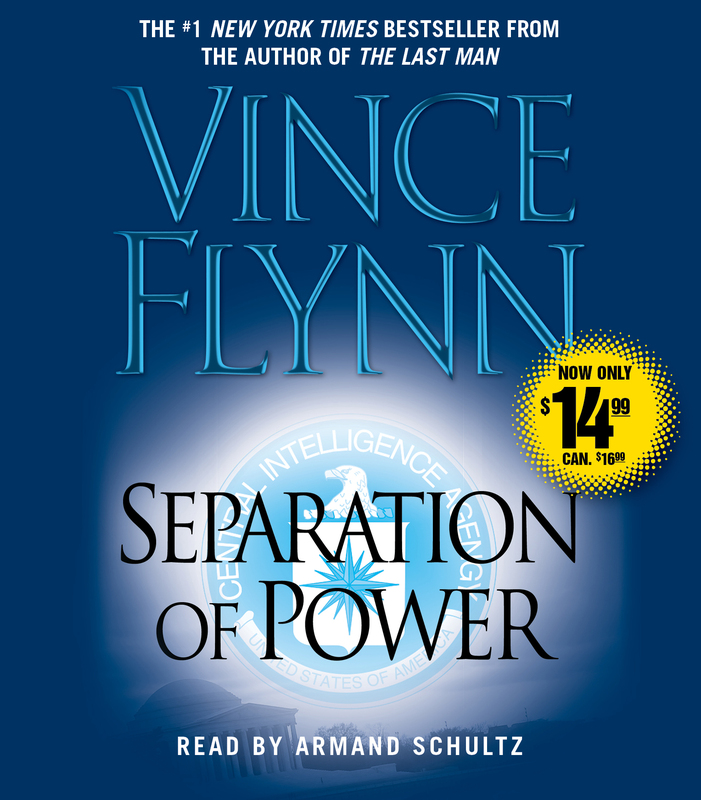 #1 New York Times bestselling author Vince Flynn's Separation of Power is being reissued in new Encore packaging for only $14.99! CIA director Thomas Stansfield is dead—and many individuals in the nation’s capital are pleased to hear it. However, their happiness is short-lived because Stansfield’s successor—his protégé Dr. Irene Kennedy—plans on pursuing Stansfield’s goals, a fact Stansfield’s fiercest enemies refuse to accept. Israel has discovered that Saddam Hussein is close to entering the nuclear arms race—and they’ve vowed to stop the Iraqi madman before he can get his hands on the ultimate weapon. With the Middle East teetering on the precipice of chaos and devastation, the president of the United States is forced to act. The commander in chief's secret weapon? None other than the CIA’s top counterterrorism operative, Mitch Rapp. With the haunting specter of World War III looming, Rapp races against time and impossible odds—navigating the deadly alleys of Baghdad, tearing through the corruption-riddled streets of Washington, D.C., and taking drastic measures against anyone who gets in his way.